LaLiga renews its partnership with World Football Summit for 2019! Home / Business of Football / Conferences / LaLiga renews its partnership with World Football Summit for 2019! World Football Summit and LaLiga have signed an agreement by which LaLiga renews it agreement as Global Partner of World Football Summit, one of the leading international event for the football industry which this year will celebrate two events; World Football Summit Asia, its first international event which will take place in Kuala Lumpur, Malaysia, on April 29/30 and its fourth edition in Madrid, on September 24/25. 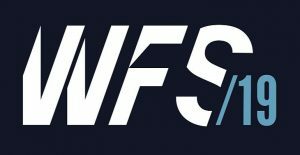 The first edition of WFS Asia will be attended by over 2,000 attendees from 50 different countries who will listen to more than 60 first class speakers tackling topics in the football industry, with a specific focus in Asia, an emerging market in which LaLiga is already putting a lot of efforts to not only grow their fanbase in the region but also help clubs to develop their international strategy in markets with a strong potential. Just a few examples of the activities in which LaLiga is working towards its growth in Asia are the signing of the broadcasting rights in India with Facebook or the agreement with Dong Zheng, Secretary General that was signed on Friday, January 18 between President Tebas and President Li Yuyi in LaLiga headquarters. Previous VIDEO – Mumbai City FC: Rapid Fire Ft. Ravi Kumar! Next VIDEO: BOOST BFC Inter-School Soccer Shield 2019 – Stars Of Day Three!